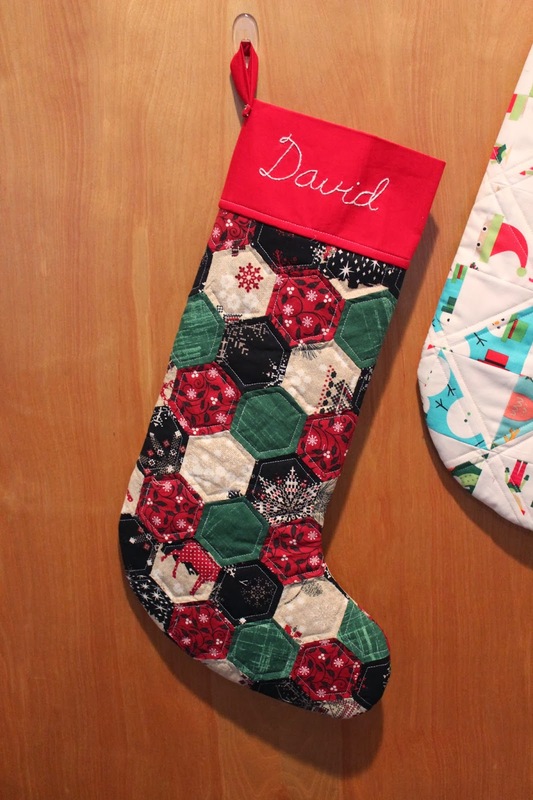 I have finished the stockings for David and Little Man. I think they turned out pretty good. 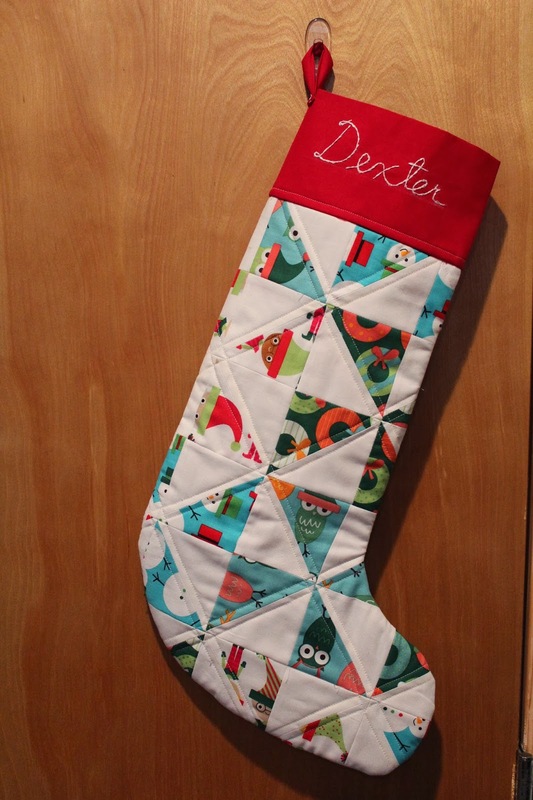 I did not manage to finish my own stocking by Christmas, but now I have an entire year to get that done! I used the Thimble Blossom Merry pattern, with a few alternations to make it go together easier, and hopefully hold up better. For example, I used interfacing in the stocking cuff to give it a thicker feel more similar to the rest of the stocking. Otherwise, it just seemed too flimsy to me. I was also really excited to use my machine's bar tack stitch for the hook loops. That's one I don't get to use very often!